No business wants to be faced with someone slipping and falling on their property. 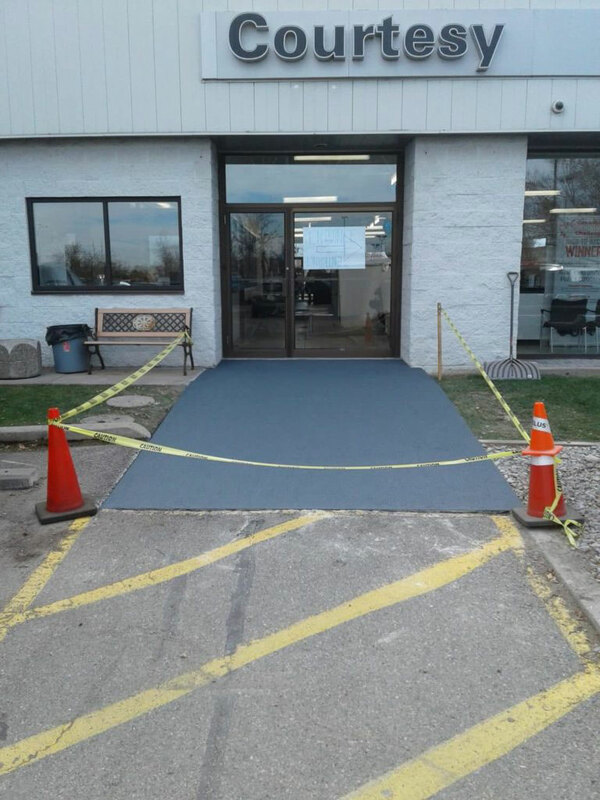 At EverLine Coatings and Services we offer non-slip specialty coatings that will eliminate the chance of someone falling on a slippery area of your property. In Ottawa we know that snow, ice, rain and moisture can result in slippery surface around your property. Slippery surface create liability issues for businesses as someone may slip and fall. At EverLine Coatings and Services our non-slip specialty coatings can eliminate the possibility of someone slipping and falling on your property. 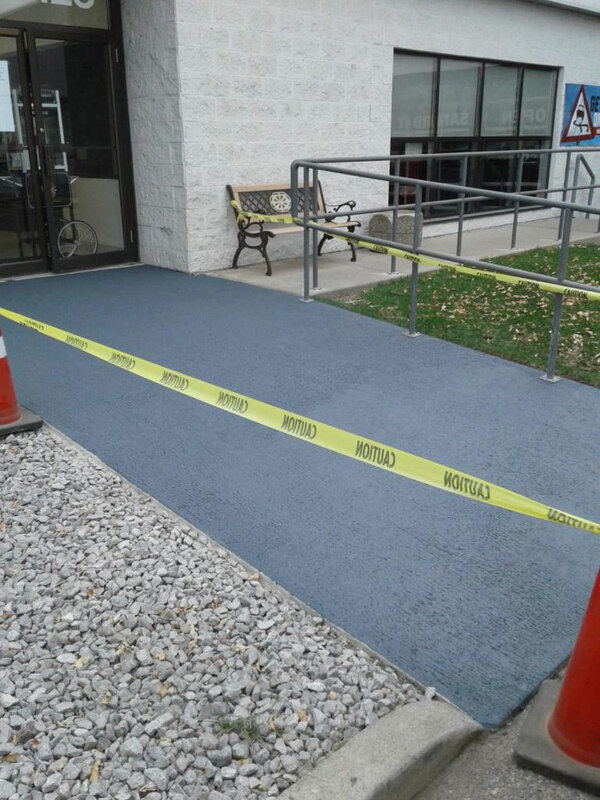 Our non-slip specialty coatings can be applied to high traffic or high danger surfaces on your property and eliminate the possibility of slips and falls. Our non-slip specialty coatings can be applied to all types of surfaces and fit all types of dimensions. We can also provide different colours and designs so they look great in addition to making your property safer. At EverLine Coatings and Services we only use high quality non-slip specialty coating products. This ensures that our non-slip coatings are effective and durable. We can also customize the non-slip specialty coating for your business so it increases safety while still looking great. Our years of experience and specialty training is what makes the non-slip specialty coating crews at EverLine experts. It all start with rigorous training programs that ensures are crews know the products and application techniques inside and out. Only once a crew member has proven they can meet our and your standards are they sent out on jobs. We implement regular training on non-slip specialty coatings services as the products and application methods are constantly evolving. We also ensure that all of our crews are experienced, you can be sure that when a non-slip specialty coatings crew arrives at your property that they’ve done this before. To ensure an efficient and high quality non-slip specialty coating application process, there are a few steps your business can take prior to our crews arrival. First please ensure that the surface we are applying the coating to has been cleaned and cleared of debris. This will ensure the coating is applied smoothly and the coating itself is effective. Second please put up signs to let people know of the floors so that they do not walk through wet coating. If someone does walk through wet coating it will ruin any work that has been completed. At EverLine Coatings and Services we do not offer flat pricing on our non-slip specialty coatings services. We believe in delivering the best possible value to our clients, and to do this we operate on a per job pricing system. Once we receive all the detail about your project and budget can we quote a price that will work for your business.